1905 - 8.3x10.8 cm exposures on rollfilm 118 or 9x12 cm plates. 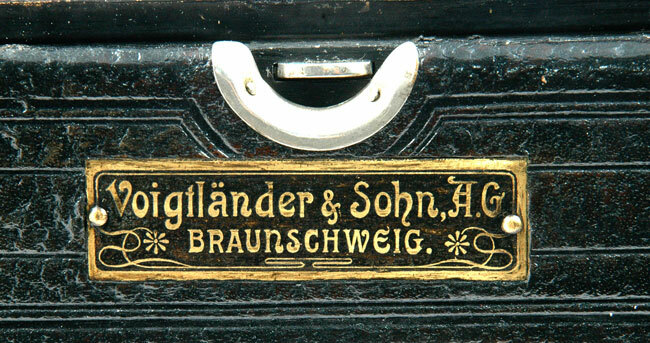 Bausch & Lomb Automat shutter 1/100. Dynar 6/12 cm. Maroon bellows, rotating brilliant finder. Rise, fall and shift. Double distance scale for plates and films. 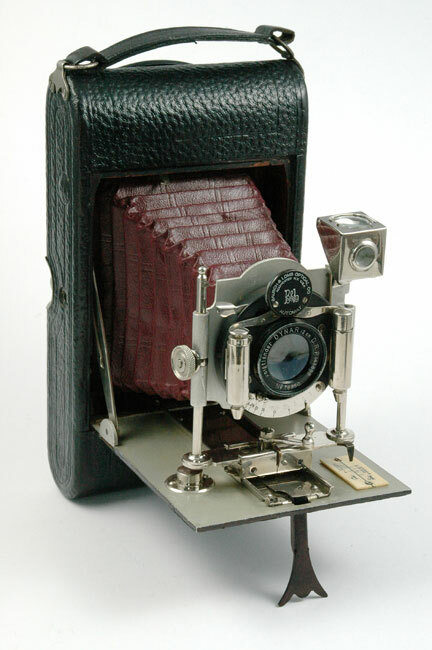 Camera made by E. Busch, Rathenow, Germany, for Voigtlander. Dynarkamera with film back. Note the Voigtlander plaque on the left side. 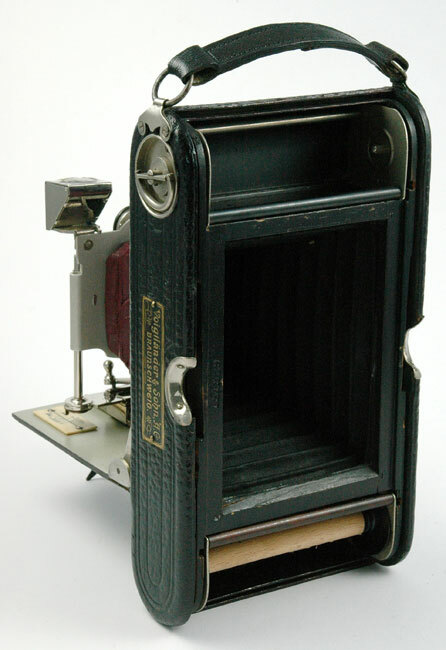 Dynarkamera with its back for plates. Note the Voigtlander plaque. Close up image of the Voigtlander plaque.